The Door County Historical Society will host its Saturday afternoon yesteryear program “Lime Kilns of Door County,” presented by Don Rudolph on Saturday, September 29th at 1:00 in the Collins Learning Center at Crossroads at Big Creek, adjacent to the Heritage Village at Big Creek. 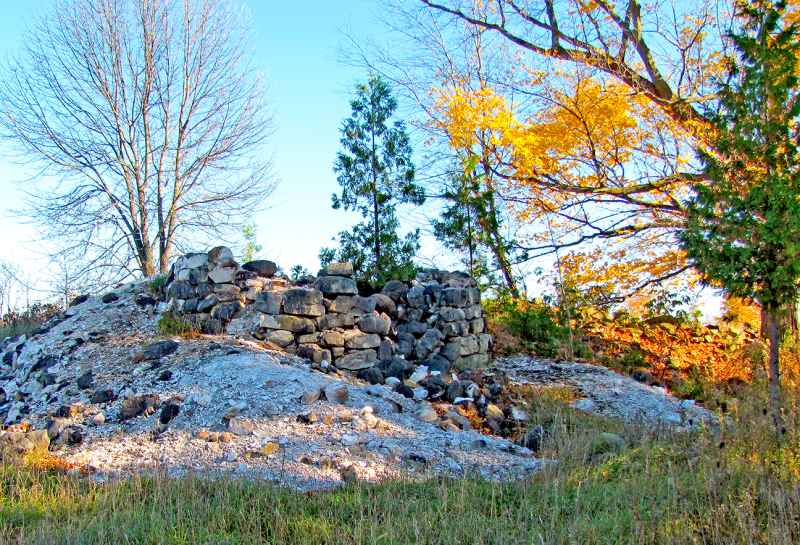 Lime was an essential ingredient in building the pioneer structures in Door County. In fact, many house and barn foundations that are still in use today were constructed with lime mortar produced in one of Door County’s 60 lime kilns. 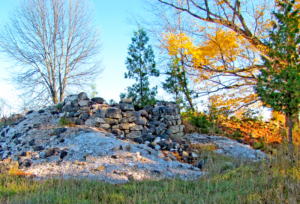 Door County Historical Society Member Don Rudolph will explain the lime making process, show a short video of a kiln fired and burning limestone, help us learn how to identify former lime kilns, and show the locations of known lime kiln sites throughout the county. Don’s interest in lime kilns began many years ago when he was helping a neighbor farmer log some cedar. They continually passed by a strange looking pile of rocks that aroused his curiosity. The farmer explained that at one time the piles of rocks were a working lime kiln. Through the Door County Library newspaper archive he found the owner and operator of this particular lime kiln, and learned that it was in use for nearly 30 years. Since that time Don has been on a quest to find all of Door County’s lime kilns. Don Rudolph’s love for history and farming comes from his ancestors. His great-grandfather, Johan Gottlieb Rudolph, and his family settled in the German Settlement east of Ephraim in 1869. His grandfather Julius Carl Rudolph moved from Liberty Grove to Sevastopol in 1899 to find a better farming property. His father, Edgar Rudolph, also a farmer, told numerous historical stories and Don was always happy to listen and lucky enough to remember these stories. Along with his wife Donna and their son David, he continues to farm on this century old homestead. Donna and Don are founding members of the Sevastopol Historical Society, and are both members of the Door County Historical Society.